ITâ&#x20AC;&#x2122;S A BUSY WORLD. LET US GET BUSY FOR YOU! WHEN YOU CHOSE MIDLANDS PUBLIC ENTITY PROGRAM You choose a partner you can count on. You can count on our team of professionals to provide access for Individual & Pool Public Entity Risks that prefer to self-insure their exposures. Our relationships with industry partners, ensures you get the support you need and the coverages your clients require. We Wecan can stop stop loss. loss. Voya Employee Benefi tstscan Voya Employee Benefi canhelp helpemployers employers manage the risk of catastrophic manage the risk of catastrophichealth healthclaims. claims. Together, wewe can preserve Together, can preserveassets assetsand andprovide provide beneﬁ ts that empower employees beneﬁ ts that empower employeestotoprotect protect their retirement savings. their retirement savings. •• Our Our 35 35 years yearsofofstop stoploss lossexperience experience makes makes us us 1 one of the top stop loss providers in the nation. 1 one of the top stop loss providers in the nation. •• Our Our consultative consultativeapproach approachmatches matches your unique needs. your unique needs. From our oursales salesrepresentatives representatives our underwriters to our claims From toto our underwriters to our claims analysts,we weevaluate evaluateevery everycase case ensure best solution. analysts, to to ensure thethe best solution. • Our Our flflexible exiblecontracts contractsoff off features that mirror or enhance ererfeatures that mirror or enhance virtually virtually any anyplan plandesign. design. he Board of Directors welcomes you to our nation’s capital and the 35th Annual National Educational Conference & Expo. We are very excited about this year’s speakers and educational sessions. We start our General Session with Chris Wallace, anchor of Fox News Sunday. 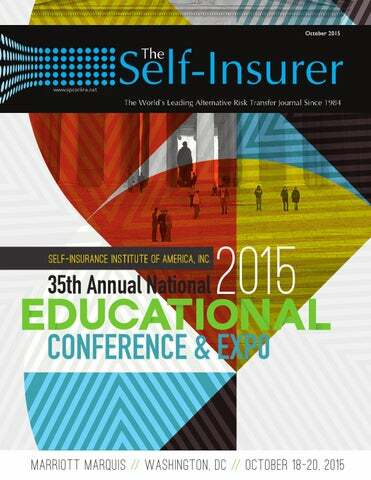 We have also added a new session – The Rise of Private Equity and Venture Capital in the Self-Insurance Market Place. We are very enthusiastic about the number of returning attendees this year, as well as the addition of many newcomers, including those from other countries and industries. It is a perfect time to catch up and network either in the Exhibit Hall or during quiet meetings. SIIA continues to be the focal point of our industry as we defend and propose changes at both the State and National level. We have also begun a media campaign to increase public awareness of the many advantages of self-funded medical protective covers and their availability in the market. On a personal note, the honor of serving as Chair of SIIA has been rewarding. Aside from the strengthening of relationships, I developed a heightened sense of the importance of being proactive on the governmental level. Although my term is over at the end of the year, there is much work that needs to continue and I encourage all of you to become involved. We as a community have more to offer than the public and politicians know. We are, after all, collectively working to protect the best interests of employees. ■ God Bless America! Rx for SPECIALTY DRUG | FEATURE 2020, according to an American Pharmacists Association report. Some analysts predict that as many as 7 of the 10 best-selling drugs could be specialty products within 4 years. A recent survey by Aon plc found that specialty scripts are expected to climb 22.7% this year from 18.2% in 2014 – more than twice the hike in overall pharmacy costs, which could reach 10% from 6.3% within the past year. With specialty drugs averaging more than $3,000 a month and some scripts exceeding $20,000 a month, the Pharmacy Benefit Management Institute (PBMI) notes that it’s critical to understand how those costs can be managed in conjunction with maximizing clinical quality and outcomes. PBMI publishes an annual specialty drug benefit trend report that offers health care purchasers significant insight into this topic. But there’s a serious lack of knowledge about the way these medications are priced, as well as enough sophisticated expertise across the marketplace to help the self-insured community actually bend the specialty Rx cost curve. specialty drug. These guarantees are based on average wholesale price (AWP). PBM clients also must have a contractual “right to renegotiate” every specialty drug discount, she notes, to prevent being locked into pricing that will undoubtedly become obsolete relatively soon after the three-year contract begins. The thinking is that unless every specialty drug – including every new drug – has a guarantee, the PBM can charge what it wants for nonguaranteed drugs. Industry consolidation could be troublesome for uneducated purchasers of specialty pharmacy benefits. “When you look at the mergers and acquisitions over the past decade with regard to the PBM space, look at the multiples they’re generating,” observes Rob Melillo, second VP and head of stop loss at the Guardian Life Insurance Company of America. Lutz did, however, point to a lack of consensus on what needs to be done, as well as a largely reactive approach among employers with inadequate education that are unsure about the right questions to ask their PBMs. Rx for SPECIALTY DRUG | FEATURE precision. Ball says it’s critical to ensure health plans are getting the best possible price on each drug, as well as controlling utilization of those drugs by using prior authorization, step therapy, or alternative scripts to control the access and utilization of these costly specialty meds. solution to reduce cost of specialty drugs. In many situations, specialty drug management is not always getting the attention it deserves. He cites as an example the new once-monthly injectable to treat hyperlipidemia, or high cholesterol. “If Atorvastatin, the generic version of Lipitor, is working effectively and is costing $150 a year for the drug, a person shouldn’t be able to go directly to the $12,000-a-year injectable without having first tried the tablets,” Ball notes. The next step is to make sure that the contract includes a mandated discount for each drug on the list, each time the drug is dispensed from the specialty pharmacy, she says. If employers are conducting a request for proposal, then they can compare the discounts each PBM is offering and tell those that are not providing competitive discounts to improve them if they want to win the contract. Cahn says the first step along the road to taming specialty drug costs is to replace the typical contract definition for “specialty drugs” with an “airtight” definition that typically states these scripts may be high-cost drugs or may require special handling, etc. An airtight definition will pin down exactly which meds are specialty drugs by cross-referencing to a list of all 950-plus drugs and including all new-to-market specialty drugs. Rx for SPECIALTY DRUG | FEATURE financial benefits that might not even be passed through as rebates. Assuming a client obtains a “right to review and customize” all programs, she says the employer needs to exercise those rights to protect itself against inappropriate PBM decisions. In addition, she says employers are dealing with promising new therapies in the area of hep C and super-statins called PCSK9 inhibitors. Two major problems, Cahn cautions, are the industry-wide absence of expertise for drafting specialty drug contract terms and a similar lack of expertise for following up to address continuous marketplace changes. However, if enough employers wrest control of the process by implementing appropriate contract terms, then it stands to reason that consulting firms will develop expertise to take advantage of those terms and thus better control specialty drug costs for their clients. Without such changes, she notes the potential for perilous consequences for employers. “What we’re hearing is that many of these are coming to market mid-year after benefit budgets have already been set and really leaving employers facing tough decisions around the benefits and very big concerns around being able to offer sustainable and affordable benefits to their employees,” Lutz observes. ■ Bruce Shutan is a Los Angeles freelance writer who has closely covered the employee beneﬁts industry for more than 25 years. 10. An internet address for obtaining the uniform glossary, contact information for obtaining a paper copy of the uniform glossary and a disclosure that paper copies of the uniform glossary are available. Providing the SBC In accordance with the February 2012 final regulations, a group health plan must provide an SBC to plan participants for each benefit package offered by the plan for which the participant is eligible. The new final rules now clarify that if a group health plan provides a participant with the SBC upon request prior to application for coverage, the plan is not thereafter required to provide another SBC to the same participant when the actual application for coverage is made. However, if a change to the SBC was made after the participant received the SBC but before the participant applied for coverage, the participant must be provided with an updated SBC as soon as practicable following receipt of the application, but in no event later than seven business days following receipt of the application. Additionally, the February 2012 final regulations require that group health plans must provide the SBC to individuals who enroll during a special enrollment period, known as “special enrollees.” Special enrollees must be provided with an SBC no later than 90 days from the enrollment date. The new final rules now clarify that, in the event an individual eligible for special enrollment requests the SBC before the 90-day deadline, the plan must provide the SBC as soon as practicable, but in no event later than seven business days following receipt of the individual’s request. information will be subject to a penalty of up to $1,000 for each failure. Plans that fail to provide a compliant SBC may also be subject to an excise tax of $100 per participant for each day of noncompliance. While these penalties are steep, the agencies have communicated in prior guidance that their initial approach towards enforcing these regulations will be to assist those plans that are working diligently and in good faith to comply with the new rules rather than rushing to impose penalties for missteps. safeguard was necessary to ensure that participants receive all of the information to which they are entitled. that the agencies will address this issue when the new SBC template language is finalized in January 2016. The new rules also reinforce that SBCs may be provided to participants electronically in connection with their online enrollment or their online renewal of coverage under the plan. SBCs may likewise be provided electronically to participants and beneficiaries who request an SBC online. Nonetheless, in either case, the participant must still retain the option to receive a paper copy upon request. Furthermore, the new rules indicate that until the new SBC template is finalized in January 2016, the agencies will not take enforcement action against a group health plan that provides an SBC with a cover letter or similar disclosure with the required minimum essential coverage and minimum value statements in lieu of providing such statements directly within the SBC. Congressman’s Visit to HCC Life Illustrates “The Power of One” This report combines elements both “inside” and “outside” the Washington, DC, Beltway with a Congressman’s home district visit to a SIIA member. he old joke poses the question “How do you eat an elephant?” The answer: one bite at a time. longtime member of Georgia’s General Assembly who is now serving his first term in Congress. Rep. Loudermilk didn’t just “stop by” HCC, which is located about a halfhour northwest of Atlanta. “He demonstrated how important he considered the meeting by including his Washington chief of staff as well as the head of his district office,” Ritchie noted. The lesson can be applied to almost any kind of large, seemingly daunting problem. For us it provides a procedure to answer the question, “How do you gain good relations with Congress?” The answer: one member at a time. Rep. Barry Loudermilk (R-GA) (center) is welcomed to HCC Life headquarters by President and CEO Dan Strusz, (right) and Senior Vice President Jay Ritchie, (left). The Congressman admitted to HCC leaders that his awareness of employer self-insured health plans and stop-loss insurance had been low prior to his briefing there. But both sides found common ground in Rep. Loudermilk’s expressed strategy of working to reduce government regulatory burdens in general. Strusz and Ritchie provided a summary of HCC’s work with its client base of approximately 3,000 employers from its offices in Kennesaw, Boston, Dallas and Minneapolis. “It seemed to be an eye-opener to the Congressman that we provide stop-loss insurance to employers who provide health plans covering about five million lives, with our 185 employees here at headquarters and about 100 in our other offices,” Ritchie said. HCC executives briefed Rep. Loudermilk on the Self-Insurance Protection Act (SIPA) which is now pending in Congress. Its objective is to prevent stop-loss insurance from being defined as health insurance for federal regulatory purposes. “The Congressman appeared to grasp the importance of that when he learned that stop-loss insurance does not pay for any individual medical benefits but protects employer plans against disastrous claims,” Ritchie said. where most policymakers create their positions and listen to feedback. With so many issues demanding their attention in Congress, now is the time to talk to them, tell them about your business, your employees and your work to help the community.” ■ SIIA members who are interested in meeting with a Member of Congress in Washington or in their home districts are invited to contact Ryan Work at rwork@siia.org or (202) 595-0642. HCC also provided an example of seemingly misguided government regulation in the so-called “Cadillac tax” that is part of the Affordable Care Act (ACA). “This tax on TPAs is actually an income tax inside an excise tax that doesn’t make any more sense than a mortgage broker being taxed on the value of a real estate transaction,” Ritchie said. HCC’s meeting with Rep. Loudermilk is part of SIIA’s ongoing campaign to increase Congressional engagement opportunities for its members. “Opportunities for members to visit their Congressional representatives in Washington – or at home like HCC has been actively engaged in – are critical to addressing and understanding the issues we face,” said Ryan Work, senior director of government relations. mployers and their brokers, Third Party Administrators (TPAs) and other intermediaries increasingly recognize the opportunity to contract directly with providers and negotiate payments based upon bundled pricing for a growing number of surgeries, treatments and episodes of care. Some of the largest employers are paving the way: in 2013, Wal-Mart, Lowe’s and other large employers joined the Paciﬁc Business Group on Health (PBGH) Negotiating Alliance (PBGH-NA) to launch a national Employers Centers of Excellence Network (ECEN), which offers no-cost knee and hip-replacement surgeries for employees at four hospital systems in the United States.1 The goal of this organization is to ensure that their employees get higher quality care and incur lower costs. ECEN is designed to serve as a model for delivering high quality healthcare with transparent and predictable costs. With more employers of every size now recognizing the potential for using this strategy, there’s growth opportunity for providers and organizations that are experimenting with private sector bundled payments as a tactic to grow market share. As this industry matures and travel becomes easier, employers will have more options than ever before. the reimbursement of healthcare providers is based on expected costs for clinically defined episodes of care. Providers are paid a single fee for a set of evidenced-based services related to a diagnosis, with payments typically linked to outcomes, as well as other quality measures.2 This strategy incents providers to collaborate in order to ensure the best outcomes, because any additional cost incurred beyond the fixed price comes out of the provider’s pockets. As a result, Geisinger Health System, for example, has seen a 21% reduction in complications, a 25% reduction in surgical infections and a 44% drop in readmissions.3 Testimony to the potential power of this approach is the government’s newly announced commitment to integrated care delivery. The Centers for Medicare and Medicaid Services (CMS) recently announced a proposal, “Comprehensive Care for Joint Replacement Model,” mandating bundled payments for hip and knee replacements in 75 geographic areas. As a mandatory payment reform, the proposal seeks to shift 50% of Medicare payments to alternate forms like accountable care organizations (ACOs) and bundle payments by 2018. The need for a new payment model for such procedures stems from the huge variation in medical costs. For instance, the price for knee and hip replacements – which are the two fastest-growing medical treatments in the country – can differ by more than $20,000 from one place to another.4 This means that Medicare will now pay providers who perform hip and knee replacement surgeries based on their ability to deliver high-quality, low-cost care under a five-year initiative. This model will target Medicare fee-for-service beneficiaries as they transition from surgery through recovery.5 As a result, CMS stands to reap a discount on what it currently pays for hip and knee replacements, which would translate to real savings, given that in 2013, Medicare spent more than $7 billion on hospitalizations for hip and knee replacement surgeries alone. What’s more, the CMS proposal pushes the work of Peer Review Organizations (PROs), a move that will impact the market. PROS are independent groups of physicians who conduct pre-admission, continued stay and service reviews for Medicare. They also review activities and records of a particular healthcare provider, institution or group. Significantly, when Medicare/CMS – by far the largest payer in the U.S. – enacts this type of regulation, the commercial market tends to quickly follow. It is expected that a bundling model is one that third party administrators (TPAs) and self-insured employers should take into serious consideration. Centers of Excellence: Payment Reform Undergoing a Domino Effect For the most part, the nation’s TPAs and other stakeholders are deep into the process of finding solutions that not only lower costs, but also ensure quality. While the large employers pioneered the opportunity, more recently, mid-size and smaller employers are now implementing direct contracting arrangements with targeted Centers of Excellence (COEs) with an eye on aggregating their purchasing power through coalitions and other multiple employer welfare arrangements (MEWAs). provide access to information and user-friendly tools to enable beneficiaries to “shop” for and schedule common, non-emergency surgical procedures, including: • Total hip replacements • Total knee replacements • Coronary artery bypass grafts It’s been shown that patients prefer to be included in the shared decisionmaking process and a number of these programs work to keep patients abreast of potential quality and cost measures, with documentation provided in advanced directives. of healthcare remains elusive, despite the efforts of the CMS and private sector organizations that are starting to report this information. In turn, hospitals and providers increasingly mimic the practices of successful retailers and are continually updating their offerings to lure corporate customers. In their quest to become recognized COEs, they seek to attract patients from all parts of the country and in many cases from throughout the world. For the most part, however, these care providers are unsure about how to approach corporate audiences, market their capabilities and leverage the opportunities that now exist throughout the country. Implementation of a medical travel program is a complex undertaking and the majority of health systems need guidance. Achieving clinical excellence is just one piece of the puzzle and while most institutions like to point to their accomplishments in this area, they are missing many of the components for truly delivering an excellent, start-tofinish patient experience. Positioned for Success: COEs Strategize to Compete Current market forces have created a perfect storm for the introduction of new services, which will work to ensure patientcentric care that focuses on better outcomes for every individual. Innovative services, however, must never lose sight of the importance of first meeting patient needs and expectations and then guiding employers and care providers to execute on their commitments to each and every person. the “matching” programs for other industries such as dating, leisure travel and business networking to accomplish these goals: • Empower employers of all sizes with information and resources to pursue a medical travel program that generates the highest quality care at the greatest value • Position hospitals and care providers to serve employers and their workforces • Offer Web and event platforms to connect the audiences Today, the marketplace has forced health systems to compare themselves to institutions in a five-state radius or on another coast. The need to travel is no longer a major concern for those seeking the best care at the best price. As plan members take on a greater share of their own healthcare costs, they are beginning to distinguish between low prices and high quality. At the same time, employers are playing a more aggressive role by contracting directly with healthcare providers and COEs in order to find the best value for their employees and opting for bundled, fixed price procedures. This has created a new dynamic in the world of health benefits that plays out as a win-win for all stakeholders. ■ Laura Carabello has been an entrepreneur and a strategy consultant in both domestic and international businesses related to health care and technology since 1985. She is the publisher/managing editor of Medical Travel Today, the authoritative, online business-to-business international newsletter of the medical tourism industr y (www.medicaltraveltoday.com), as well as US Domestic Medical Travel (www.usdomesticmedicaltravel.com), the newsletter dedicated to U.S. intra-state and inbound medical travel. Resources The Free Library;Walmart, Lowe’s and Paciﬁc Business Group on Health Announce a First of its Kind National Employers Centers of Excellence Network; www.thefreelibrary.com/Walmart%2c+Lowe%27s+and+Paciﬁc+Business+Group+on+Health +Announce+a+First+a0345042183;accessed August 4, 2015. Notice 2015-52 On July 30, 2015, the IRS issued Notice 2015-52 (the “Notice”), which provides important insight (and requests public comment) on who is liable for paying the excise tax, how the tax is paid, how the tax is allocated among coverage providers and employers, additional information regarding the calculation of applicable coverage and issues regarding employer aggregation. The IRS also proposed a special “smoothing” rule for determining the cost of coverage under account based plans (such as FSAs, HRAs and HSAs). Practice Pointer: Notice 2015-52 does not provide guidance on which employers or others may rely, but provides valuable insight as what the IRS is thinking and offers opportunity for comment. Comments on the Notice should be submitted no later than October 1, 2015. After the IRS has reviewed all the comments, the next step in the regulatory process is expected to be issuance of proposed regulations. There will be an opportunity to comment on the proposed regulations. Who Will Be Responsible for Paying the Tax? “[P]erson that administers the plan benefits” (see discussion below). party administrator, although it may in some instances be the employer or other plan sponsor, depending on how benefits are administered. Under the second proposed definition, the “person that administers the plan benefits” will be the entity that has the ultimate authority with respect to administration of the plan. Generally, this will be the employer in the case of a single employer self-funded plan In the case of multiemployer plans, this would generally be the plan sponsor, i.e., the joint board of trustees. In all cases, IRS expects that the person liable for the tax will generally be an entity, rather than an individual. For self-funded plans, the ultimate decision regarding the entity that is liable for the tax could have a number of implications beyond merely who must send the check to the IRS, including both administrative issues and potentially the amount of tax paid. For example, under the first approach (i.e., the person with day-to-day responsibility is liable for the tax), it is likely that there will be multiple coverage providers for a single plan. This could occur, for example, if prescription drug benefits are administered by a pharmacy benefit manager (PBM) and major medical benefits are administered by a different TPA. This could make determination of the tax more difficult. excess allocated to each coverage provider. This task may be more difficult the more coverage providers there are. plans. Note, for fully-insured plans, the coverage provider is the health insurer, so these pass through issues will arise in that context. How Will the Tax Be Calculated and Paid? required to calculate the excess benefit and provide the notification. The IRS is considering both the form and timing for the notification and is seeking comments on issues associated with this process. Save hundreds of thousands of dollars, reducing your healthcare cost while providing your employees with a quality health plan. indicates that the excise tax and any related income tax adjustment would be excluded only if such amounts are separately billed and identified by the coverage provider. Comments are requested on these issues. Note, it may be possible to avoid these pass-through issues for selffunded coverage if the employer or other plan sponsor is liable for the tax. However, because the statute states that insurers are the coverage provider for fully-insured coverage, the pass through questions will arise for such coverage. amount of tax due over the taxable 4 period. In some cases (such as when a plan year ends after the end of a calendar year) this determination may be difficult. Submission of the Tax The IRS anticipates that coverage providers will remit any excise tax due by filing Form 720. Although this form is called the Quarterly Federal Excise Tax Return, it would be used only once a year for the 4980I excise tax. The IRS anticipates designating a particular quarter during the calendar year during which Form 720 will be used by the coverage provider to pay the excise tax. This is similar to the process being used currently for the Patient Centered Outcomes Research Institute (or PCORI) fee. How Will the Cost of Applicable Coverage be Calculated? The Notice expands on the information provided earlier in Notice 2015-16 regarding how the cost of “applicable coverage” subject to the excise tax is calculated in certain situations. Contributions to Account-Based Plans The IRS is considering providing that contributions to account-based plans, such as HSAs, Archer MSAs, FSAs and HRAs will be allocated on a pro-rata basis over the plan year, regardless of when the contributions actually are made to the account. This should help smooth out annual accruals under account based plans. “applicable coverage” must a “group health plan.” HSAs are generally NOT group health plans. Thus, the statute indicates that only in the rare case that an HSA is a group health plan should the tax apply. Numerous comments on Notice 2015-16 made this point and, in the alternative, argued that if the IRS persists in subjecting HSAs to the tax, at least salary reduction contributions should be excluded. It is expected that the IRS will address this issue in proposed regulations. for the FSA is less than or equal to the ACA cap on salary reduction contributions ($2,550 for 2016). © 2015 Indigo Insurance Services, LLC is a subsidiary of Blue Cross Blue Shield of Massachusetts, Inc.
Don’t let overwhelming health care insurance claims swamp your business. Invest in stop loss insurance with Indigo Insurance Services. To gain more control over your health care expenses, please visit www.indigo-insurance.com/stop-loss for more information. for these amounts as well (contrary to transitional guidance provided in Notice 2012-9). Practice Pointer: – Multiemployer plans: Multiemployer plans have a different structure than single employer plans and often present different issues. Code Section 4980I and IRS Notice 2015-52 address some, but not all, of these issues. For example, in the case of coverage under a multiemployer plan, the plan sponsor is responsible for providing the notice of excess benefits to coverage providers and the IRS, rather than the contributing employer. Notice 2015-52 specially requests comments on issues relating to multiemployer plan. limits. As noted in the earlier Notice 2015-16, the IRS intends to promulgate rules regarding adjustments that employers can make to these limits and seeks comments on these issues. The current Notice provides additional discussion of the adjustments permitted based on the age and gender characteristics of the employees of the employer. On average, older employees and female employees have higher healthcare costs than younger employees and male employees, respectively. Employers with a higher than average concentration of older or female employees may be able to raise their applicable dollar limit amount and thus avoid some or all of the excise tax. In order to take advantage of the adjustment, employers will need to compare their employee population to the population of the national workforce. The IRS is considering a requirement that employers must use the first day of the plan year as a snapshot date for determining the composition of its employee population. The IRS is seeking comment as to whether this date would be a representative date. Finally, it is anticipated that the IRS will publish adjustment tables to facilitate the employer’s calculation of the age and gender adjustment. Conclusion The Section 4980I excise tax will present challenges for all plan sponsors. Sponsors should be considering now what plan design changes may be appropriate to try to reduce plan costs and avoid the excise tax. ■ The Affordable Care Act (ACA), the Health Insurance Portability and Accountability Act of 1996 (HIPAA) and other federal health beneﬁt mandates (e.g., the Mental Health Parity Act, the Newborns and Mothers Health Protection Act and the Women’s Health and Cancer Rights Act) dramatically impact the administration of self-insured health plans. This monthly column provides practical answers to administration questions and current guidance on ACA, HIPAA and other federal beneﬁt mandates. Meredith Gage, Esq. an associate in Alston & Bird’s Atlanta ofﬁce assisted with the preparation of this article. Section 4980I provides that all coverage under a multiemployer plan is treated as family coverage. arlier this year, a risk purchasing group (RPG) was formed to provide cyber liability protection to the restaurant and hotel industries. In the last few years, several RPGs have begun providing cyber liability to small businesses and franchises, as well as for insurance professionals, real estate agents and educators. The ďŹ&#x201A;exibility of RPGs in set-up and management is proving to be a unique and effective way to reach entities which may not have access to cyber liability coverage. Small Businesses Facing Cybercrimes As cybercrimes become more commonplace, the need for cyber security liability insurance increases. While many large and national companies have been taking advantage of the cyber liability products that are increasingly becoming available in the marketplace, most medium and small companies are being left behind. What are Risk Purchasing Groups? RPGs are entities that were enabled by the Federal 1986 Liability Risk Retention Act (LRRA) along with their more well-known counterparts, risk retention groups (RRGs). The LRRA preempts some aspects of state regulation regarding RPGs, which also includes their members, their insurers and the agents and brokers that work with them. RPGs can operate in multiple states but must have a state of domicile and they are required to register in each state in which they intend to do business. Unlike RRGs which are actual insurance companies who retain their own risk, RPGs are collective buyers of existing insurance products from insurance companies. RPGs typically represent a trade association or some other form of homogenous group and get the discount benefits of group insurance purchases. These entities are much quicker to set-up than a RRG, most taking only a few months to set in motion. While many RPGs offer coverage to members through a trade association, equally as many RPGs are introduced by agents or brokers who see a niche in the marketplace that could be best served by this type of alternative risk transfer mechanism. Real estate professionals, educators, hospitality and, of course, healthcare are some of the sectors that benefit from the RPG structure. Currently, there are over 900 RPGs registered to operate in the United States (compared to only 235 RRGs), according to the Risk Retention Reporter. Only a small number, at this time, are offering cyber products to their members, but those RPGs are “members of a regional restaurant association, or regional retail group; franchisees of a particular franchise operation; really, any group of small businesses or small retailers,” said O’Leary. The most recent addition to RPGs offering cyber coverage and one managed by O’Leary’s law firm, is Restaurant and Hospitality Businesses Data Security and Media Liability RPG. Domiciled in Illinois, the RPG was formed primarily for small to medium-sized restaurants and other hospitality businesses in California to cover the risk of obtaining customer information, such as credit card or other personal information. gender discrimination could also be marketed to groups or associations.” Dodell has one specific type of coverage in mind, “There is an exposure that I haven’t seen covered by an RPG yet, but that is media exposure. I’ve been on the soapbox for a while that small business need media insurance. It’s been an insurance product for a while, but it’s only been bought by media companies – publishers, broadcasters, ad agencies.” Media coverage could offer copyright and trademark infringement, plagiarism and privacy/defamation coverage. It is seen as a very specific type of errors and omissions coverage and any business with a website or social media presence could be at risk for these types of exposure. Like with cyber, most small businesses don’t see themselves at risk. Dodell continued, “Nowadays every business has a website with pretty sophisticated content. They’re creating and disseminating content in ways that in the past only media companies would have been able to accomplish.” The general liability policy, Dodell said, was not designed for this type of exposure and won’t respond to most types of media and intellectual proper ty claims. For this reason he is advocating media liability coverage. ■ Karrie Hyatt is a freelance writer who has been involved in the captive industry for more than ten years. More information about her work can be found at www.karriehyatt.com. In 2016, Symetra will reach an important milestone—our 40th year as a medical stop loss provider. That makes us pioneers in the industry, with decades of experience in service, underwriting and claims management. When placing your 2016 stop loss business, go with the company that’s been here from the start. We don’t just know the road, we helped write the map. To learn more, visit www.symetra.com or www.symetra.com/ny. he more things change, the more they stay the same... Back in the olden days of managed care (mid-80s to mid-90s), HMOs and EPOs were the weapons of choice in the ﬁght against skyrocketing healthcare and health insurance costs. As we moved into the late 90s and early 21st century, both lost favor in the market due to a lessening of healthcare cost pressures and a desire for patients to have open access to providers. Fast forward to 2015. We once again find ourselves in the throes of significantly increasing healthcare and health insurance costs, the Affordable Care Act and the use of Medicare repricing as a replacement of traditional PPOs. And guess what?! The focused, restricted network is gaining significant interest and traction in the market. 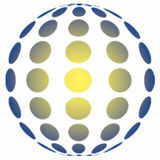 We’ve just changed the name to give it an appeal that the Exclusive Provider Organization (EPO), never really enjoyed. Today we speak interchangeably of Narrow Networks, Focused Networks, High Value and High Performance Networks. How Do We Deﬁne These New Network Iterations? There appears to be several standard elements, as well as some variation depending upon the network: • Focused provider contracting within a geographic area with the intent of providing access to key providers and facilities. • Desire to direct patients to select providers in return for extremely favorable reimbursement rates. • Provider contracts can be based on varying payment mechanisms including but not limited to reference based pricing (e.g. Medicare), pay for performance, value-based and capitation. • An intent to offer price and quality transparency and to engage the patient in the process of purchasing healthcare services so that they can be discriminating consumers. The reality is that we’re likely to see multiple variations on these themes over the next several years as the market matures and competitive innovation increases. Now, let’s put this in the perspective of current market trends: The following was taken from the Towers Watson 2015 Emerging Trends in Healthcare Survey. Companies seeking to achieve and sustain such high performance need to develop clearly defined, comprehensive and aggressive multiyear strategies for maximizing their health care investments. • Health care costs for 2015 are projected to increase by 4% after plan changes, compared to the 4.5% employers previously projected for 2014. Without changes, the increase would have been 5.2%. • The excise tax is a primary focus of companies’ health care strategies. Twothirds of employers (62%) say the 2018 excise tax will have a moderate to significant impact on their health care strategy. Two in five employers that have done extensive modeling of their plans say they will trigger the tax in 2018. • Employers continue to partner with their vendors to link payment to value and enhance networking strategies. Use of COEs and narrow medical networks is expected to more than triple over the next three years. Which Speciﬁc Actions Do Self-insured Organization Have in Place or Are Considering Between Now and 2018 for Their Health Care Program? What Does this All Mean in Terms of Options for Self-funded Health Plans? • We anticipate that many carriers, ACOs and independent network organizations will develop their version of the Narrow/High Performance Networks. • Multiple options will offer selffunded health plans greater choice and leverage in negotiating pricing. • Many of the networks will utilize Medicare allowables to establish their contractual relationships in return for increased patient volume and the ability for a provider to carve out its competitors. • Smaller boutique companies will offer Client tailored network options allowing Plans to create a program that meets the needs of its employees. This could include: » Exclusive use of the network with no out-of-network benefit. » The ability to offer a Wrap PPO for out-of-area and out-of-network services. » Three tiered options using a Narrow/High Performance Network, a Wrap PPO and a separate out-of-network benefit. • Pricing on a PEPM could vary greatly, depending on the network: » Some independent rental PPOs may offer their own Narrow Network solution at a rate higher than the typical PPO option. Potentially $8-12 PEPM. » Carriers offering Narrow/High Performance Networks may also increase the cost of accessing the network reflecting the greater savings anticipated. • There may be a push toward offering performance rewards to providers to enhance the quality of care and reduce utilization as appropriate. The end result could be additional Plan savings. • Health Plans utilizing a Medicare repricing alternative to a PPO may consider implementing this type of PPO option in lieu of the more draconian approach to eliminating the PPO altogether. Plans should have procedures to ensure that an adequate number of providers that accept the reference price are available to participants and beneficiaries. For this purpose, plans are encouraged to consider network adequacy approaches developed by States, as well as reasonable geographic distance measures and whether patient wait times are reasonable. (Insured coverage is also subject to any applicable requirements under State law.) The underlying concept and one in which we feel supports the movement toward these Narrow/High Performance PPO’s is the reference to “networks”. Though time will tell, we believe the ground work is being laid through the Affordable Care Act to protect patients through network access and which will support reference based or value-based contracting with providers. ■ Corte B. Iarossi is the VP of Sales and Marketing at United Claims Solutions and can be reached at (866) 762-4455 x120 or via email at ciarossi@unitedclaim.com. ondon is known for Buckingham Palace, Big Ben, the Royal Albert Hall and Harrods, among other historic landmarks. It’s also home to Lloyd’s of London, known for managing unusual risks for 327 years and a driving force behind self-funded markets around the globe. Just across the street, a group of senior executives representing global selffunding and alternative risk markets assembled for last month’s Self-Insurance Executive Summit. The event was sponsored by the Self-Insurance Educational Foundation (SIEF), the nonprofit educational arm of the Self-Insurance Institute of America (SIIA). It featured attendees and speakers from major corporations across the U.S. and Europe. Hot topics included captive growth, U.S. health care policy, the Affordable Care Act, global medical trends and the looming implementation of Solvency II, a financial standard governing insurance regulation across the European Union that takes effect in January. many a North American project or North American writing of projects.” As for Solvency II, which also had everyone talking, Wallbank says it’s only a matter of time before it arrives in the U.S. because European entities must apply the new standard to their operations around the world. Freda Bacon, a SIEF board member who administers the Alabama Self-Insured Worker’s Compensation Fund, says London was chosen to host the executive summit “primarily due to the everincreasing cross-over of self-insurance issues, which affect both sides of the Atlantic.” She describes the market, as well as Lloyds of London, as steering everything from excess and reinsurance coverage to captives around the globe and also notes that most international brokers are headquartered there. Recalling memorable SIIA trips to China and to Bangkok, Wallbank is hopeful that a conference can now be planned for Cuba now that U.S. diplomatic ties have been restored and there’s an American embassy in place. He believes interest is high, adding: “that would be educational because the law requires education at the moment. You can’t just go there for fanfare.” While events overseas are an important part of SIIA’s educational mission, Bacon notes that SIEF also hosts a number of sessions in Washington, D.C., to help educate congressional aides and policymakers on the self-funded industry, its goals and concerns. • Willis North American Captive & Consulting Practice • Renalogic - formerly DCC, Inc.
We offer clients a wide range of physician-led, technology driven solutions to enhance your health plan, or even replace it. Not ready to ditch your PPO? AMPS Medical Bill Review (MBR) offers companies the opportunity to enhance their PPO while still realizing meaningful savings. Replacing your PPO network with an AMPS Reference Based Reimbursement solution can yield an average of $2.1 million in savings per 1,000 member lives. DIRECT CONTRACTS © Self-Insurers’ Publishing Corp. All rights reserved. ike John Fogerty said in one of his hit songs, “I see a bad moon arising, I see trouble on the way,” the self-insured employer has been dealing with a bad moon – diabetes. And there is more trouble on the way, unless company executives take strategic steps to help those employees living with this chronic illness. The steady rise in diabetes is contributing significantly to rising health care costs for employers. According to the Kaiser Family Foundation Employer Health Benefits Survey, premiums for employer-sponsored health care coverage more than doubled from 2002 to 2014. The increasing numbers of Americans with diabetes is a major factor in this escalation. with diabetes are also at higher risk for catastrophic medical and worker’s compensation claims. Disease Management Diabetes and its associated complications (cardiovascular disease, nerve or kidney damage, eye and foot damage, strokes, etc.) cost America about $245 million in 2012, per the American Diabetes Association – and, given the escalation of diabetes we’ve already noted, this cost is certainly higher today. The majority of this total expenditure related to diabetes - $176 billion - was attributed to direct medical costs, such as doctor’s visits, hospitalization, prescription medications and diagnostic tools like the testing supplies for checking blood sugar. Testing supplies are hugely important for those with diabetes. Without these tools, a person with diabetes has no way of knowing if her glucose levels are outside a healthy range. When blood sugar levels are not properly monitored and managed, your employees with diabetes risk suffering a hypo- or hyperglycemic episode or developing complications that can put them in the hospital, or even something more severe. These complications associated with poor diabetes management cause your costs to rise, which are then passed on to the majority of employees without diabetes. It’s time to get better control of this runaway train. women with diabetes miss about nine more days than women without it. An astounding $69 billion of the $245 billion total health care cost attributed to diabetes costs is in indirect costs like decreased productivity and absenteeism from work. everyone and managing the disease can seem nearly impossible. So instead of making the necessary changes, many people with diabetes allow the disease to progress, which can result in severe consequences such as heart disease, stroke, blindness, loss of sensation and amputation. Providing incentives – such as cash, reductions in insurance premiums and gym memberships – can help jumpstart an employee with diabetes to begin taking control of their health. • A trained professional health coach: When a person is diagnosed with diabetes, they can feel uninformed and unsure of the course of treatment – especially when their physician’s demanding schedule does not allow for adequate time to explain what they should do to manage their disease. That’s why it’s important to offer your employees with diabetes the services of a professional health coach who can engage with and mentor them on how to monitor and self-manage the disease. Without this kind of personal assistance, someone with diabetes is more likely to forego managing their disease. The coach serves as a valuable resource and personal partner, answering questions about such things as smart food choices or how to test blood sugar levels. The coach can also help the employee with diabetes prepare for clinical visits, as well as simply be a sympathetic sounding board that someone with diabetes needs to deal with the many frustrations of living with the disease 24/7/365. Several studies have reported an increase in patients’ daily management of their disease with the help of a health coach. Hold your employees accountable by encouraging regular interaction with the coach to receive ongoing incentives. test their vitals on a daily basis if their employer provides the necessary equipment. Doing this in concert with health coaches who work with the individual participants to understand the benefits from regular testing and helps them to learn how to apply the results in their daily life, can improve future outcomes. Implementing a diabetes program is critical not only to your employees’ health, but also to the financial health of the self-insured company. Since there is no cure for diabetes, your employees have two choices: • Engage with and learn to manage the disease to prevent further health complications. OR • Let the disease progress, which can ultimately lead to poor quality of life marked by such complications as blindness, amputations and even premature death from heart disease, stroke or kidney failure. When your employees are engaged with self-managing their diabetes, they live healthier lives. Healthier employees lead to a healthier bottom line, thanks to fewer hospital visits and days absent from work. In fact, at TrueLifeCare, we implemented a diabetes program for employees with the disease at a manufacturing company. Over the course of two years, we have seen more than a 20% decrease in emergency room visits and hospital days and the costs associated with these visits. any employers are either embarking upon, or in the midst of, evaluating the performance of their beneﬁt plan as it relates to decisions for the 2016 plan year. It is well understood that the complexities of administering an effective self-funded plan require an expert third party administrator (TPA). However, determining what deﬁnes an expert TPA is difﬁcult. When evaluating prospective beneﬁts administration partners, a network discount comparison is usually the ﬁrst step. Too often, however, it is the only tool used to select an administration partner. There is greater opportunity for signiﬁcant savings in implementing a holistic cost mitigation approach by partnering with a TPA that has proven success implementing this type of strategy. To get the most value out of a self-funded strategy requires the implementation of a full beneﬁts solution, one that takes into consideration the multiple manners in which risk and costs, can be mitigated. The following eleven criteria will help you identify an expert benefits administration partner that is able to assist in managing the most effective benefits strategy. reduce costs. In addition, if you intend to either move to a self-funded financial strategy or change carriers/benefits administrators, but have a desire or need to maintain your existing plan design, make sure that any benefits administrator or carrier you are considering is able to not only customize your existing plan design, but mirror it exactly. All customizations should be accommodated and applied to all aspects of the solution including: workers’ compensation, consumer-driven health plans, medical management, population health management, etc. A comprehensive benefits solution should contain a variety of additions to core plan elements, including medical, dental and/or vision plans; consumer-driven health plans; workers’ compensation and disability plans; case management; population health management programs; pharmacy integration management; employee benefit statements; online enrollment; backoffice administrative support and more. A benefits partner with the industry expertise and technology to integrate the administration of these services through its access to comprehensive data analyzed by a strategic account manager, not only streamlines administration from an employer perspective, but also optimizes overall cost control and helps ensure proper fund management. While cost is a primary indicator of success, the ineffectiveness of the account management team is often the underlying reason organizations issue an RFP. When evaluating benefits administrators, understand the level of strategic guidance and service support you will receive. The ideal administrative partner will deliver an account management team that has years of industry experience and maintains a responsive service model. They must also demonstrate the ability to develop a strategic engagement plan that emphasizes the following: corporate and solution objectives, cost-drivers, recommendations, ROI measurements and coordination of solution services. Having access to claims and clinical data is essential to making educated plan decisions. However, monitoring health plan claims experience retroactively is not enough to optimize an integrated benefit plan solution. Strategic benefits partners must synthesize known historical claims experience with predictive modeling techniques and data obtained through population health management services in order to truly synergize a comprehensive view of a population and its impactful risk factors. An example of this includes using integrated neural network population management software that looks for patterns in large batches of data to predict health outcomes before they occur. in reaching full wellness maturity, or the state in which health outcomes for each member are optimized in relation to members’ current health statuses. An optimal benefits administration partner has the analytical tools and industry expertise necessary to provide a strategic recommendation for a fully integrated and results-optimized solution. A strategically-minded benefits administrator will build a solution around the risk categories and modifiable behaviors that are most adversely impacting the population and driving costs. The benefits administrator should also outline a recommendation for providing aggregate reporting and a return-on-investment analysis to validate the success of the program. From planning to analysis, a strategic benefits administrator should provide quality execution, service and support throughout the entire process to ensure the highest level of success. important and often overlooked, factor in cost-containment is the application of predictive modeling to develop benefit design and support strategies throughout the year. The ability to analyze member data is a valuable benefit of self-funding, but having a partner that understands how to take claims data and turn it into an actionable strategy for costmitigation results in tangible savings. performance indicators, will provide insight into the quality of service members can expect to receive. Also, a partner with a fully staffed and trained customer service unit, dedicated to first-call resolution, will execute the service philosophy needed to ensure the highest quality member satisfaction. A first-call resolution strategy aims to answer a caller’s question upon their first interaction with a customer service representative, eliminating the need for return phone calls, either from the service center or the caller, on the same issue. The Only Complete Settlement Option in the Marketplace ECHO® is the leading provider of electronic healthcare payment solutions, serving over 50,000 ERISA health plans and fully insured groups through a single secure ERISA, HIPAA and CORE compliant system. Consolidate multiple payments into one. Deliver payments and benefit statements electronically. Reward your bottom line from day one. STOP BY OUR BOOTH AT SIIA TO LEARN HOW ECHO CAN SIMPLIFY YOUR PAYMENT PROCESS. and state mandates impacting selffunded benefit plans. For general plan compliance, an internal compliance team offers more immediate access to information and often engages in direct and consistent communication with the organization without incurring ad-hoc consultative fees. Like selecting a benefits administrator or carrier, selecting the right pharmacy benefit manager (PBM) for the organization ensures that the PBM’s administrative experience and service-offering capabilities are aligned with corporate and benefit plan goals. A strategic benefits partner will leverage insight from the overall solution to help determine the appropriate PBM to administer the prescription drug plan. Ideally, there will be a range of aggressive, negotiated contracted rates from more than one PBM to consider, as well as an integrated service model. For organizations that are looking to change administrators while retaining their existing PBM, a desirable benefits administration partner should not restrict or limit the PBM choice, but should accommodate any existing partnership and integrate health and prescription drug plans accordingly. Accessing a PBM contract via the benefits administration partner should be seamless, with the benefits administrator ensuring proper prescription drug plan execution by the PBM. Jessica Marabella is the marketing and communications specialist at POMCO, one of the nation’s largest third party administrators. Prior to joining POMCO, Jessica was a senior account executive and managed a variety of business-to-business and businessto-consumer clients to develop and lead marketing and communications strategies. Jessica received her Insurance Agent License in Life, Accident, and Health from New York State in 2010 and holds a Bachelor of Arts degree in English from the University of Rochester, and a Masters of Arts degree in Advertising from the S.I. Newhouse School of Public Communications at Syracuse University. Are Health Networks Going to Jurassic Park? This article originally appeared in Captive Insurance Times special Conference Issue 77.
harging a fee for access to a group of health care providers has been a fantastic business. Low investment in capital assets, minimal labor costs and bountiful cash ďŹ&#x201A;ows attract our countryâ&#x20AC;&#x2122;s smartest investors. With margins above 60%, it is no surprise the Goldman Sachs of the world own networks. With any good deal, however, one must ask if it is too good to be true. Will it last? There are some evolving market forces that suggest the traditional notion of paying for access to a group of health care providers is coming to an end. A health network is a group of physicians, hospitals and other health care providers that agree to provide medical services at pre-negotiated prices and rates. Health networks generate income by leasing access to their group of providers for a fee. Network access fees range, on a per employee per month basis, from under ten dollars a month to twenty dollars a month. A payor entertains these access fees in the hopes the network of providers will deliver health care services at a lower price than if the payor purchased the services directly. Networks are the consummate middle men, inserting themselves between buyers and sellers with arguments of price efficiency and convenience. mere suggestion of proceeding with a health benefit plan outside of a recognized network will cause many to predict financial ruin. Is this suggestion still accurate? Are traditional networks worth their price of admission? Is it possible to receive health care services at an equal or better price without paying fourteen dollars per employee per month? created and controlled by groups of employers with far different motivations than for profit insurance companies. These pooled insurance solutions enable an entire community of employers to negotiate directly with that same community’s providers. These community health plans can be delivered in a regulatory-compliant insurance solution in weeks. All in, a health care provider is no longer beholden to the traditional insurance company as its only source of payment for services. No wonder the health care providers are now asking themselves whether network participation is the most attractive way to deliver their services. Could health care services be provided without the network middlemen? Market Darwinism The market is a tough critic and permits little to remain that is not contributing for the better. Like dinosaurs, health networks may be confined to an insurancethemed amusement park, sort of like Jurassic Park, if they cannot support their place in the health care delivery system. Because payors are undergoing such a dramatic transformation, it is probably best to look at how the new payors are pushing out the old payors and their networks with them. Like many of nature’s creatures, lethargy and softness creeps into many a market participant’s makeup. For insurance companies that control our country’s largest networks, outsized overhead and substandard services are the signs of a long successful tenure atop the health care delivery system. These characteristics do not bode well for survival in today’s health care delivery environment where cost and quality control the agenda. Why should a health care provider entertain a reduced fee from the traditional network payor when another payor in the form of a self-funded medical captive can offer a more reasonable payment because of its lower overhead and fixed expense insurance solution? They shouldn’t and the provider market is developing these self-funded community health plans throughout the country. The Tipping Point Improved communication is a disruptive force in the market, no doubt. It serves to drive out redundant and inflated costs. For networks that relied upon claims of convenience and cheap access to a group of health care providers, many other payment platforms now compete and offer improved provider communication and access at a reduced cost. Is fourteen dollars per employee per month still needed to gain cost-effective access and communication? Does the regulatory-compliant insurance solution need to be delivered at an overhead and profit cost of 40¢ of the premium dollar? Are health care providers realizing there is a choice beyond the traditional network? No, No, Yes. Michael A. Schroeder is President of the Roundstone organization. Mike offers more than twenty years of insurance industry management experience with responsibilities in the captive market, self insurance trusts, publicly held insurance companies and the regulatory environment.